Kai Hwang is presently a Presidential Chair Professor in Computer Science and Engineering at the Chinese University of Hong Kong (CUHK), Shenzhen, China. He also serves as a Chief Scientiest at the Cloud Computing Center, Chinese Academy of Sciences. He has taught at the University of Southern California and at Purdue University for many years prior joining CUHK. He received the Ph.D. in Electrical Engineering and Computer Science from UC Berkeley in 1972. Dr. Hwang has published extensively in the fields of computer architecture, parallel processing, cloud computing, and network security. By 2018, his Google Scholar citation has exceeded 17,828 with an h-index of 55. His latest two books appeared in 2017: Cloud Computing for Machine Learning and Cognitive Applications (The MIT Press) and Big Data Analytics for Cloud/IoT and Cognitive Computing (Wiley, U.K.). The Chinese editions are both avialable from Huazhang Press in Beijing. An IEEE Life Fellow, he received the Outstanding Achievement Award from the Computer Federation of China in 2004. He received the Lifetime Achievement Award from the IEEE CloudCom 2012 for his pioneering work in parallel computing and distributed systems. He has delivered numerious keynote or distinguished lectures in many Conferences or research centers. Dr. Hwang has performed consulting work with IBM, MIT Lincoln Lab, Chinese Academy of Sciences, and INRIA in France. He has servered as a visiting chair professor at Tsinghua Univerity and Hong Kong University. Abstract: In this speech, Dr. Hwang will address critical issues surrounding the fusion of smart clouds, AI chips, fog nodes, and edge devices in various IoT platforms to face the grand challenges in big-data, AI and cognitive applications. The roles of machine learning and big-data analytics are identified for smart clouds, social networks, intelligent robots, and IoT platforms. He will assess hardware, software and networking approaches and their integration techniques. He will illustrate with example projects at Google, IBM, Baidu, Alibaba, Microsoft, Apple, Huawei, etc. The ultimate system design goal is to achieve enhanced agility in AI systems, end user mobility, global security, and scalability of public clouds and IoT platforms. Dr. Hwang will assess the latest progresses made at AWS, Google and IBM Watson, etc. In particular, he will cover the co-design of hardware, algorithms and software to upgrade the performance and ensure security and data privacy. He will assess the integration of cloud, fog, and edge computing requirements. Intelligent robots, IoT devices, NB-IoT, 5G and satellite-based networks are presented to face the challenges in current and future AI and HPC applications. Specific application domains to be covered include deep learning in computer vision, autonomous vehicles, smart city built upon IoT and clouds, and a 5G health-care system for desease detection, emotion control, and mental disorder recovery. Dr. Changxu (Sean) Wu received his Ph.D. degree in Industrial and Operational Engineering from the University of Michigan-Ann Arbor (2007). He is currently a tenured full professor of Department of Systems and Industrial Engineering University of Arizona, starting from August 2017. Dr. Wu directs the Cognitive System Lab and he is interested in integrating cognitive science and engineering system design, especially modeling human cognition system with its applications in system design, improving transportation safety, promoting human performance in human-computer interaction, and inventing innovative sustainable and smart energy systems with human in the loop. Dr. Wu has published 116 papers in the field including 80 journal papers, 36 conference papers, 1 book chapter, and 2 patents in intelligent system design authorized. The journal papers include IEEE Transactions on Systems, Man, and Cybernetics (Part A), IEEE Transactions on Intelligent Transportations Systems, Psychological Review (Impact Factor: 9.02), ACM Transactions on Computer-Human Interaction, International Journal of Human-Computer Studies, as well as several other journals. He was the Chair of Human Performance Modeling Technical Group of Human Factors and Ergonomics Society (HFES) in USA. He is also Associate Editors for IEEE Transactions on Intelligent Transportations Systems, IEEE Transaction on Human-Machine Systems, and Behaviour & Information Technology. He received the Senior Researcher of the Year Award from the Dean of School the Engineering & Applied Sciences at SUNY Buffalo and Outstanding Student Instructor Award from the American Society of Engineering Education (ASEE). Abstract: This research seminar introduces the major research activities at the Cognitive System at University of Arizona, focusing on human cognition/performance modeling with its applications in systems engineering (e.g., human-in-the-loop transportation systems and human-machine interaction). Human performance modeling is a growing and challenging area in human factors and cognitive systems engineering. It builds computational models based on the fundamental mechanisms of human cognition and human-system interaction, employs both mathematical and discrete event simulation methods in industrial engineering, and predicts human performance and workload in real-world systems. It can be used to design, improve, and evaluate systems with human in the loop. Current and future research topics as well as the relation between human model and big data will also be introduced. Yao Liang received his B.S. degree inComputer Engineering and M.S. degree in Computer Science from Xi’an JiaotongUniversity, Xi’an, China. He received his Ph.D. degree in Computer Science fromClemson University, Clemson, USA, in 1997. Heis currently a Professor in the Department of Computer and Information Science,Purdue University School of Science, Indiana University Purdue University,Indianapolis (IUPUI), USA. His research interests include wireless sensornetworks, Internet of Things, cyberinfrastructure, multimedia networking,adaptive network control and management, machine learning, neural networks, datamining, data management and integration, data engineering, and distributedsystems. His research projects have been funded by NSF. Prior to joining IUPUI,he was on the faculty of Department of Electrical and Computer Engineering at VirginiaTech, USA. He also had extensive industrial R&D experiences as a TechnicalStaff Member in Alcatel USA. Dr. Liang has published numerous papers on variousprestigious journals and international conferences, and received two USpatents. He has received the 2019 Glenn W. Irwin, Jr., M.D., Research ScholarAward at IUPUI. He has served regularly on Program Committees for various majorinternational conferences, and served as a reviewer for numerous prestigiousjournals. 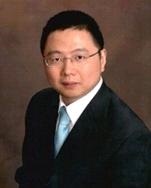 Dr. Liang has given invited talks and lectures at variousuniversities in US, Europe and China. He is a Senior Member of IEEE, and aMember of ACM. Abstract: Wireless sensor networks (WSNs) and Internet of Things (IoT) are fundamentally changing today’s practice of numerous scientific and engineering endeavors by enabling continuous monitoring and sensing physical variables of interest at unprecedented high spatial densities and long-time durations. This has significantly impacted broad fields such as environmental sciences, ecosystems, natural hazards, precision agriculture, smart building, and smart city. We focus on outdoor large-scale WSNs/IoT that are deployed in harsh environments such as mountainous areas, hilly watersheds, and forests, which presents great challenges in WSN/IoT data acquisition, because of the severe resource constraints (e.g., battery power, bandwidth, memory size, and CPU capacity) of tiny sensor nodes. In this talk, I will share my group’s work on wireless sensor data acquisition and present our novel compressed sensing approach which can recover the sensing data at the sink with high fidelity when very few data packets need be collected, leading to a significant reduction of the network transmissions and thus an extension of the WSN/IoT lifetime. I will also illustrate our results using a real-world outdoor environmental WSN testbed deployed in Pennsylvania USA. 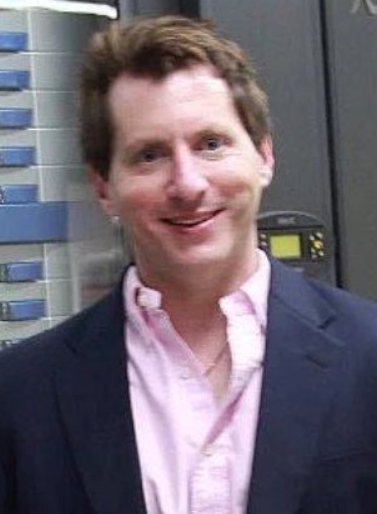 Scott A. Klasky is a distinguished scientist and the group leader for Scientific Data in the Computer Science and Mathematics Division at the Oak Ridge National Laboratory. He holds an appointment at the University of Tennessee, and Georgia Institute of technology.He obtained his Ph.D. in Physics from the University of Texas at Austin (1994), specializing in general relativity. Dr. Klasky is a world expert in scientific computing and scientific data management, co- authoring over 200 papers, and a PI on 8 multi-million dollar projects in the department of energy. Abstract:The USA Exascale Computing Project (ECP) is focused on accelerating the delivery of a capable exascale computing ecosystem that delivers 50 times more computational science and data analytic application power than possible with DOE HPC systems such as Titan (ORNL) and Sequoia (LLNL). As next generation applications and experiments grow in concurrency and in complexity, the data produced often grows to extreme levels, limiting scientific knowledge discovery. In this presentation, Dr. Scott A. Klasky will talk about the new set of applications and experiments which push the edge of scientific data processing and simulation. He will present some of the exciting new research in this area to cope with this tsunami of data, along with the challenges in implementing these effectively on next-generation computer architectures. In his presentation he will also focus on many of the software technologies my group is developing to meet these challenges, including ADIOS ( https://www.olcf.ornl.gov/center-projects/adios/) a next generation to ingest, reduce, and move data on HPC systems and over the WAN to other computational resources. His goal is to excite a new set of researchers to work in this impactful area and to attract researchers from around the world to work together on scientific challenges that they can make impact together.